I want to warn you on this one, it’ss going to get geeky fast. Like we said in an earlier post, the bag is a big challenge for us. I wanted to pull apart a popcorn bag to see what makes it tick. It seems crazy but the bag is really an engineered system that is optimized for popping popcorn under the influence of microwave energy. 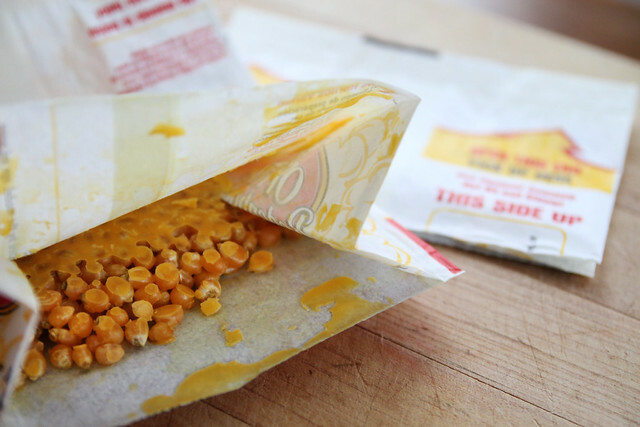 A brown paper bag works just fine but somehow the modern microwave popcorn bag has become pretty complex. The industry lingo for this bag is a gusseted pinched end bag. Not to be confused with a double gusset flat bottom bag or a’s¦ Are you yawning yet? 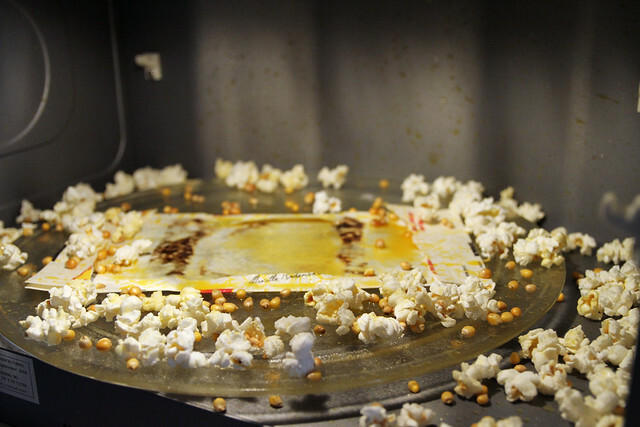 The popcorn kernels rest on top of the susceptor (info below) in a solid cake of oil and flavorings. This everything-in-the-bag approach is really limiting. 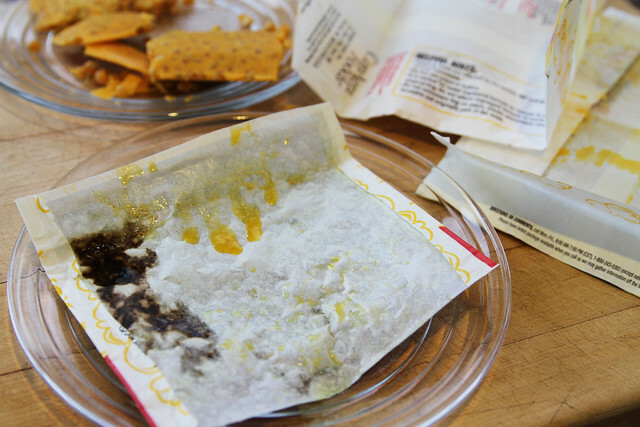 The second limitation is that the flavorings need to be able to withstand the elevated temperature of the susceptor. Making flavors that can do this is difficult, often requires engineered ingredients, and limits what flavors can be used. This is the reason the microwave popcorn isle is so boring. 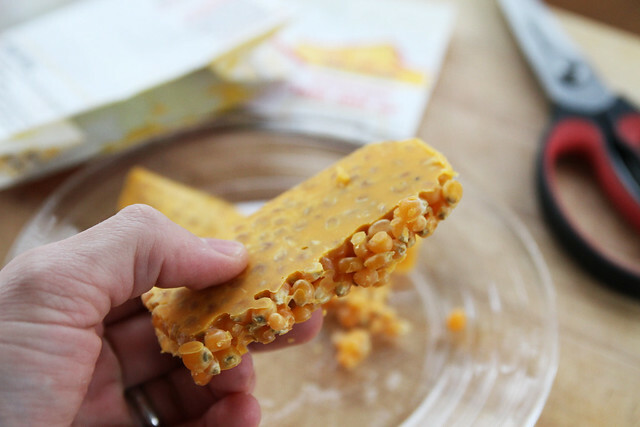 Fake butter, or, um, fake movie theatre butter. We’sre all familiar with how oil and kraft paper get along. Put french fries in a brown paper bag and the oil soaks right through. 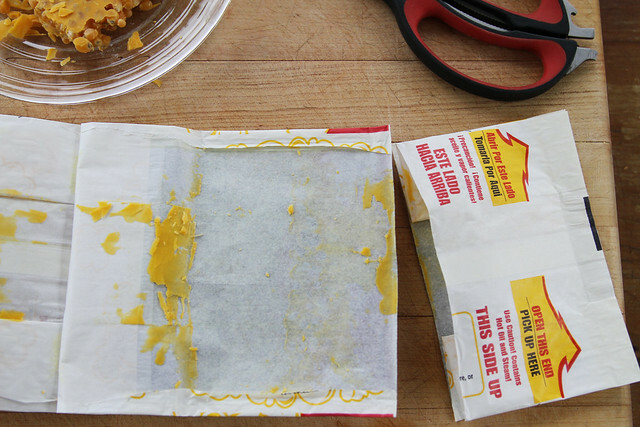 Popcorn bags get around this by coating the kraft paper with a lipophobic (repels fats) chemical coating. This fluorotelomer coating is the second feature of the bag that has generated health concerns. Actually, it’ss something that has been written about for years, and linked to many health issues. In 2006 the FDA did an investigation to try to figure out why people had sizable amounts of PFOAs (Perfluorooctanoic) in their bodies. It’ss a pretty obscure chemical but somehow it was in practically everyone! You guessed it, popcorn bags made the list. The chemical is a known carcinogen, developmental toxicant, immune system toxicant, and liver toxicant. It is pretty crazy/scary stuff (http://www.epa.gov/opptintr/pfoa/). I had to see the bag working so I popped it in the microwave for 2:30’s¦but with the top cut off the bag. The subceptor really works! I could see all the heat it generated in the form of bubbling oil and eventually a scorched bag. The other thing, it made a huge friggin mess. Once cooled, the splattered oil solidified in every crevice of my microwave. Check out the video HERE.